Star Grows Up Quickly - Universe Galaxies And Stars Section. Something weird is happening inside a nearby stellar nursery. An embryonic star is giving off a healthy glow...in X-rays. 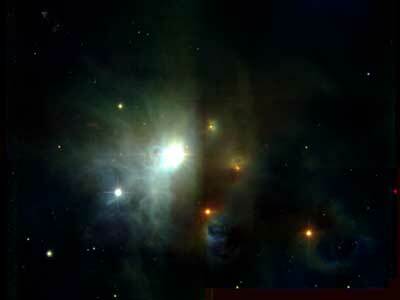 Like a precocious child, the developing star (protostar) is far too young for that kind of behavior. The observation, made primarily with the European Space Agency's XMM-Newton observatory, suggests that some unrealized, energetic process - likely related to magnetic fields - is superheating the surface of the cloud core, nudging the cloud ever closer to becoming a star.